Incredibly versatile, these stylish composite French doors will look great in any home, whatever type of property you live in. This double composite exterior door features three large rectangular windows running down the side of each door. 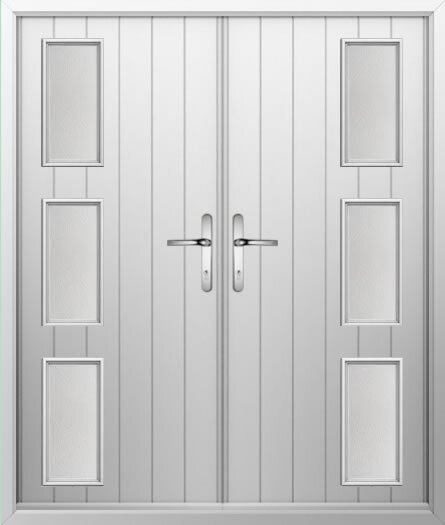 Coupled with a contemporary tongue and groove design and a choice of colours and handles, you can count on these exterior doors to provide security and longevity.